With the course of time and passage, we have been seeing the increment in the size of the phone. Earlier 5.3-inch devices were known as tablets and now 5.5-inch devices are the average size of a phone. But still, there is a majority of the audience who still prefers using a compact phone. Hence the demand of such phones is increasing so it is nice to see Nokia taking that into account. Thus Nokia 5 has just a 5.2 inch Corning Gorilla display which is quite compact in design. So, the display gives first plus point to buy Nokia 5. There is literally no device in this price segment which has come out with Android 7. But no here’s Nokia 5 made that possible and have promised to give constant Android security monthly patch updates. Even that they will get the next Android version and next Android version and … next updates. Now in the smartphone market, almost all brands give regular software updates. As this phone has a built in stock original stock, I thinkit’s a good choice to buy Nokia 5. We could have expected a Snapdragon 6 to 5 from Nokia. But Snapdragon 430 is proven to be a beast. 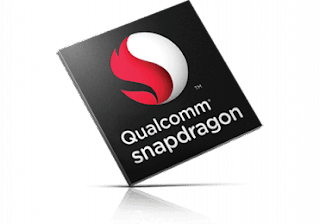 It has 8 arm cortex a53 cores which are clocked at 1.4 gigahertz each. Though it has general gaming performance, it has not disappointed till now. In spite of being built on the 28-nanometer architecture, it is void power efficient and gets the job done quite nicely. Nokia 5 also delivers almost all the important sensors. Fingerprint sensor which is nowadays found on every other smartphone. Other sensors like compass magnetometer proximity sensor accelerometer are also present and expected that they serve their purpose nicely. Now, the rare NFC sensor is included for an easy sharing purpose. In this middle price segment probably you will not get NFC from another brand. So, if NFC is your first choice to select a smartphone than you could buy Nokia 5. After Google sold Motorola to Lenovo there have been only Moto G series which comes with stock Android experience. As Nokia announced that they will provide stock Android experience on the global unit it will be an attractive opportunity for the stock Android lovers. Chinese manufacturers give us the concept of hybrid SIM slots. Which means that you can either use two nano SIM cards or one SIM card and a micro SD card. That’s created a huge problem for those who want both two SIM cards and a micro SD card. Nokia 5 can be the solution for them. It comes with two SIM card slots and a dedicated micro SD card slot that can expand storage up to 128 gigabytes. So, you should buy Nokia 5, if you focus on dedicated micro sd card facility. Nokia 5 comes with a 13 megapixel rear facing camera and an 8-megapixel front facing camera. Looking at the Nokia 6 camera performance we can say that it will perform decently. 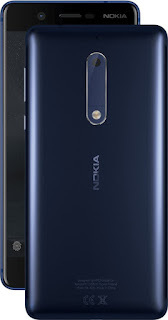 Yes, the performance will not be better than the cameras found on the Moto G 4 plus but Nokia 5 will definitely beat many Chinese competitors in the camera department.